Earlier versions of the four-month journey nearly circled the globe, but Crystal Cruises’ newest itinerary will start and end at the same port in Miami starting in early 2015. Add Crystal Cruises to the list of lines offering complete circumnavigations of the globe. Crystal Cruises has long promoted its near round-the-world journey, but now plans to accomplish the goal. Photo by Sid Mosdell. 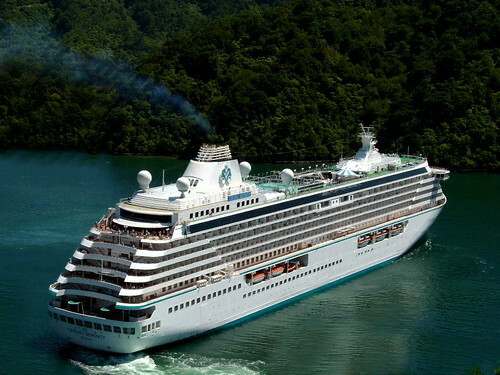 The two-ship luxury operator says the 1,070-passenger Crystal Serenity will sail its first complete circumnavigation in early 2015. The Crystal Serenity‘s route on the voyage will take it westward through the Panama Canal to South America’s west coast before heading across the Pacific to New Zealand and Australia. From there, the ship will continue westward to the southern tip of Africa before heading to the east coast of South America and back to Miami. Skift Podcast: What Do The World’s Wealthiest Travelers Want?